Monday, March 12, 2018 – Highlands, NJ – After completing a successful two-day test at Sebring International Raceway in late February, Scuderia Corsa driver Frankie Montecalvo is ready to compete in his fourth Mobil 1 12 Hours of Sebring. Montecalvo will once again team up with Townsend Bell and Bill Sweedler for the 12-hour enduro. “I love Sebring so much. I’ve raced there for a number of years now and it’s always so special to be able to go back and compete there,” explained Montecalvo. Montecalvo, Bell and Sweedler completed a productive two-day test with Scuderia Corsa on February 22nd and 23rd. With nearly fifteen hours of run time between the two days, the trio feels confident that they have a car that will be race ready when the green flag drops on Saturday. In his first outing at the 12 Hours of Sebring in 2011, Montecalvo finished P2 in the PC class with CORE Autosport. 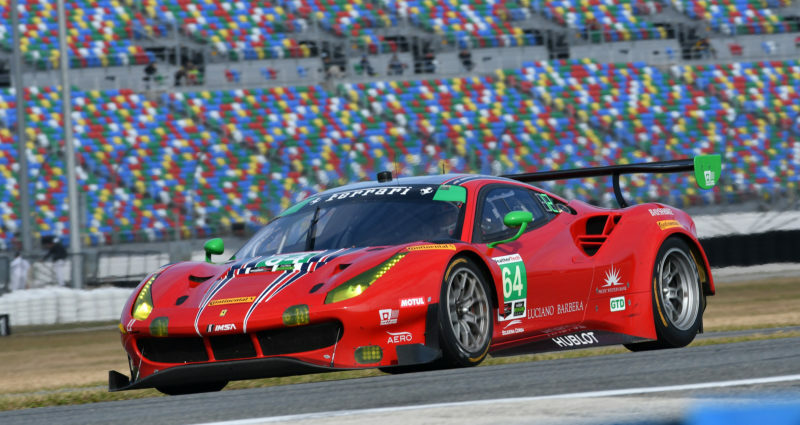 Although the 2018 GT Daytona class is one of the most competitive classes in the IMSA WeatherTech field, Montecalvo is hoping to bring home a win for Scuderia Corsa. On track action for the Mobil 1 12 Hours of Sebring begins Thursday, March 15 and continues through Saturday, March 17. The green flag flies at 10:40 AM EST on Saturday. You can watch the start of the race LIVE on Fox Sports 1 with coverage beginning at 10:30 AM and then switching to Fox Sports 2 at 12:30. Be sure to follow Frankie on Twitter, Instagram and Facebook to stay up to date with all of his racing news!